Anxiety is a powerful emotion. 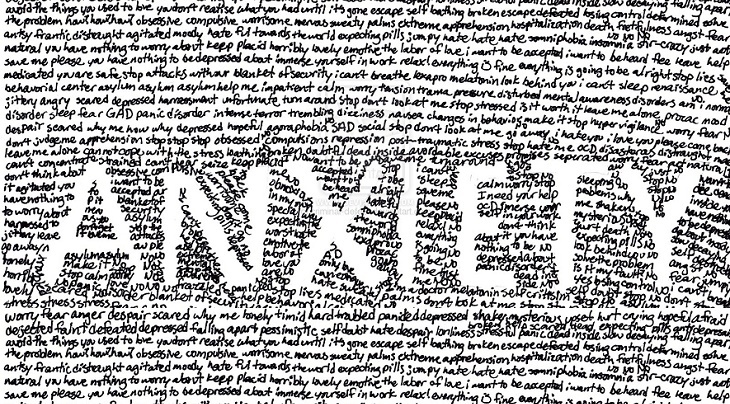 If you struggle with anxiety, you know what I’m talking about. Maybe you have racing thoughts, and have trouble settling down. Or maybe your heart starts to beat faster, and you feel stressed out. Maybe you struggle to fall asleep because of all your worries. Anxiety has to do with fear. When we feel fear about a situation, our natural tendency is to escape or avoid the thing we are scared of. The normal reaction is to move away from our anxiety. I remember having this experience a few years ago. One of my friends invited me to go on a weekend trip. It sounded like fun, but I didn’t really know the people who were going. I felt anxious. Would I fit in with the group? Would it be awkward since I didn’t really know anyone? Would I have fun? Would it be stressful? The more I worried about it, the less I wanted to go on the trip. My natural reaction was to move away from my anxiety, and tell my friend that I didn’t want to go. But our natural tendency isn’t always best for us. Our normal reactions don’t always set us up for the most learning and growth. This is certainly true when it comes to anxiety. If you always avoid the thing you are afraid of, your fear will be maintained. You will feel relief in the moment, but the next time you are in a similar situation, the anxiety will be back in full force (perhaps even stronger than before). The best way to reduce your fear and anxiety is to move toward your anxiety, and then utilize relaxation techniques or coping strategies when you feel anxious. This way, you give yourself a chance to have a different experience, and actually work through your anxiety rather than avoid it. When you experience fear and anxiety, what is your natural tendency? Do you tend to move away from your anxiety, or move toward your anxiety? What is one thing you are feeling anxious about right now? What is one step you could take to move toward your anxiety?